When putting Italy and hefty stoner/doom metal together you'll probably think of Ufomammut, and rightfully so. But Wait! Here's something we found in the idyllic town of Vasto. Le Scimmie started somewhere around 2007 and released a rather experimental offering of noisey riff worship back in 2011 with Dromomania. A good pounding of sludged and fuzzed out guitar work that didn't really have a direction, but it did what it had to do. 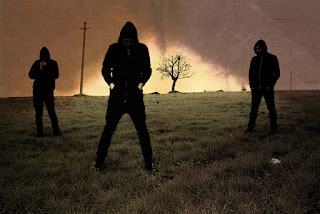 This year, the Italian three piece returns with Colostrum. This is definitely an album that should strengthen the band's position in the genre. 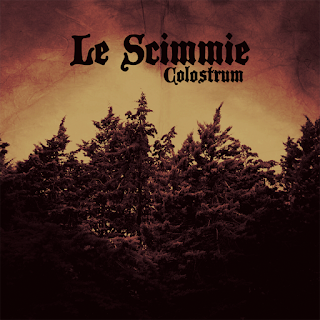 Colostrum is huge and consistent, filled with gigantic riffs and atmosphere. It's loud, abrasive and walks like a mammoth. A recommended riff galore.